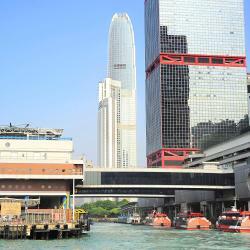 Looking for hotels near Hong Kong House of Stories? Renovated in October 2017, The Fleming Hong Kong features rooms in a classic style inspired by Hong Kong’s iconic cross-harbor ferries. This stylish boutique hotel is in the Wan Chai business district, a 5-minute walk from Wan Chai MTR subway station. It features a rooftop infinity pool, a 24-hour fitness center and 2 dining options. Burlington Hotel is a brand new 4-star business hotel strategically located at the heart of Wanchai, a 2-minute walk from Wanchai MTR Station. Offering panoramic views of Victoria Harbour and the city, The Upper House is centrally located on Hong Kong Island, right on top of Pacific Place, the city’s premier shopping mall. Offering convenience and easy accessibility, the 4-star smoke-free Kew Green Hotel Wanchai Hong Kong is located in Hong Kong's shopping and entertainment district. Located a 3-minute walk from Wan Chai MTR Station, the hotel is also an 8-minute walk away from Hong Kong Convention and Exhibition Center. 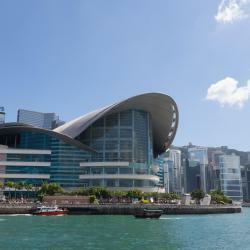 Directly connected to the Hong Kong Convention and Exhibition Center (HKCEC) and a 5-minute walk from Wanchai MTR Station and Star Ferry Pier, the luxurious Grand Hyatt Hong Kong offers a 50-yard... Excellent professional and warm services by all staff. Butterfly on Morrison features modern European design accommodations with smoking-free guest rooms, an 11-minute walk from Causeway Bay MTR Station, 15-minute walk from Jardine's Crescent and Hysan... Comfortable bed, nice shower, good view, great location. Sitting atop the prestigious Pacific Place Complex, the JW Marriott Hotel Hong Kong has direct access to the Admiralty MTR Subway Station and Pacific Place Shopping Mall. Extremely friendly and useful stuff thank you. Meticulously designed to ensure a comfortable stay, Hotel Ease Access Wan Chai is just a stone’s throw away from the main central business district, moments from the Hong Kong Convention and... The location is great to have local foods. Offering a restaurant and a 24-hour gym, Mira Moon, the first boutique hotel under the Mira Hotel Collection and the well-awarded Boutique Hotel in Hong Kong, is located in the heart of Causeway Bay. Amazing design and service. Definitely one of the best choices you can get in HK. Gloucester Luk Kwok Hong Kong is centrally located in Wanchai Business District, a 3-minute walk from Wanchai MTR Station. The stylish hotel offers 3 dining options and a fitness center. The location is great. Across from a great bar. Next to a Starbucks. Easy walk to MTR. Crowne Plaza Hong Kong Causeway Bay is conveniently located a 5-minute walk from Times Square and Causeway Bay MTR. Sweeping city views can be enjoyed from the rooftop pool on 28th floor. 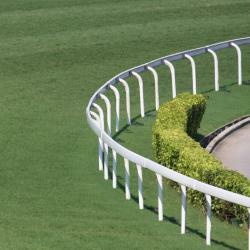 Located in lively part of town, close to transport links, with great views over racecourse. Novotel Century Hong Kong offers modern rooms in central Wanchai, a 5-minute walk from Wanchai MTR Station. It provides a gym, an outdoor pool and a Novotel Mac Corner. Location is great, between Central (Business) and Causeway Bay (Shopping). Hotels with great access to Hong Kong House of Stories! A 1-minute walk from Wan Chai MTR subway station, Brighton Hotel Hong Kong is a contemporary boutique hotel with free Wi-Fi and free local calls. Close proximity to the MTR station and walkable to a variety of restaurants in the area. Providing free WiFi in all areas, the 4-star newly renovated Dorsett Wanchai, Hong Kong (formerly Cosmopolitan Hotel Hong Kong) is a short 8-minute walk from Causeway Bay MTR Station. The staff was good. Buffet was decent. The Harbourview offers well-appointed and smoke-free rooms a 5-minute walk from Wan Chai MTR Station. It is only a 2-minute wak from Hong Kong Convention Center. best hotel. the view was amazing, Loved it all. and the breakfast it is really nice. Holiday Inn Express Causeway Bay Hong Kong is conveniently located near a major transportation hub, only a 2-minute walk from the Causeway Bay MTR station. Very good location and very helpful staff!